Planned Parenthood has long been under attack by the GOP, and the plan to yank federal funding from their clinics across the U.S. is a cherished part of Trump’s healthcare bill. This is bad for women’s health, but also bad for the economy. According to the New York Times, the Congressional Budget Office analysis this week indicates that without the federal funding at Planned Parenthood, Medicaid spending would increase in the first year by $21 million. By 2026, that increase with be at $77 million. The potential problems, [Joseph E. Potter, director of the Texas Policy Evaluation Project] said, included finding a conveniently located provider with available appointments and affordable fees. In focus groups that followed up the study, women described being unable to pay $50 for birth control, or hundreds of dollars for follow-up screening for cervical cancer after an abnormal Pap smear—services that they had received free or at reduced costs from Planned Parenthood. When the Planned Parenthood in Midland, Tex., closed in late 2013, it transferred about 5,000 patient medical records to Midland Community Healthcare Services, a federally qualified health center. About 2,000 of those were records of active patients who had been seen in the previous year. But since then, only about 200 of those patients have “trickled through our door,” said Michael Austin, the community center’s chief executive. One in five counties currently served by Planned Parenthood don’t even have a federally-qualified health clinic, but if they do, and a patient does manage to be redirected, the cost of their care to the government increases. 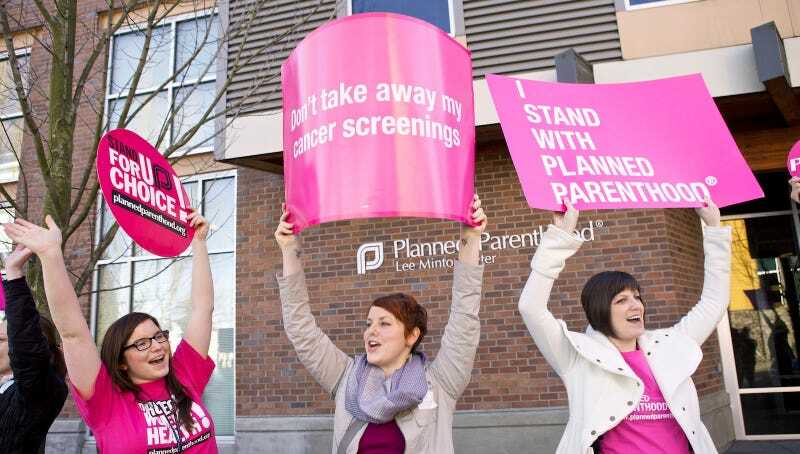 Planned Parenthood has specialized services for sexual health and family planning. Other clinics are expected to cover those needs as well as their other health services, which is far more expensive.